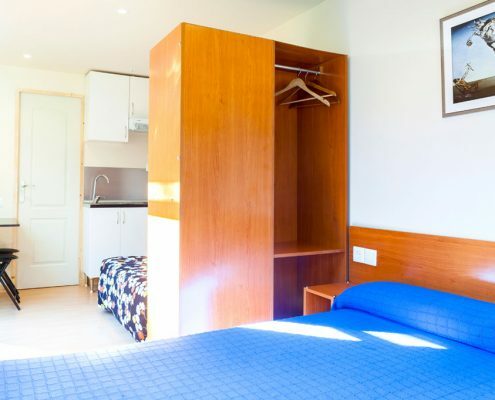 The six new fully equipped bungalows can accommodate up to 4 persons. 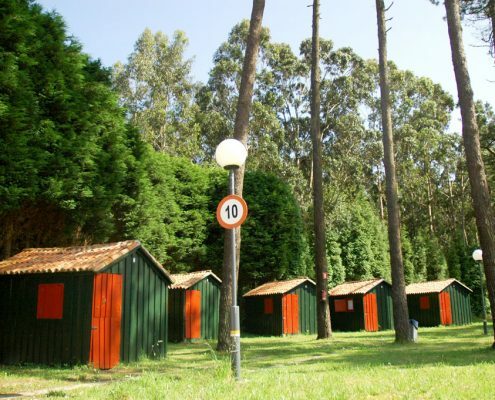 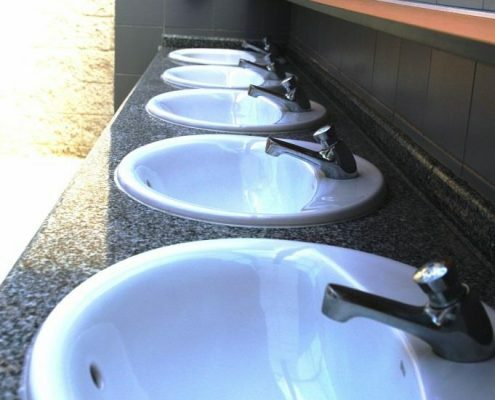 They are located in the southern part of the campsite, an area that gives them extra privacy. 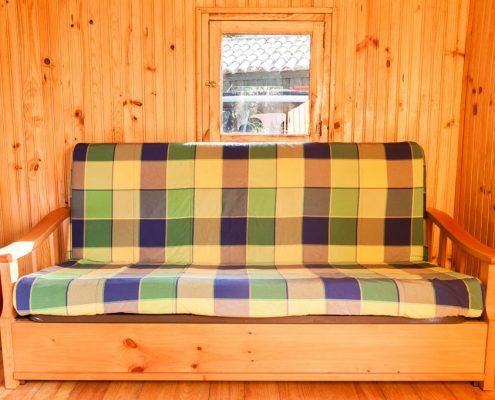 This option offers maximum comfort, without losing contact with the surrounding nature. 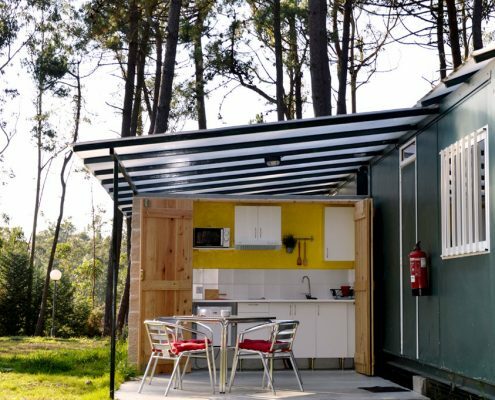 The bungalows are 15m2 each and have a double bed and a sofa-bed (queen size), both with linen They have basic furniture, private bathroom with hot shower and an outdoor kitchen and covered eating area. 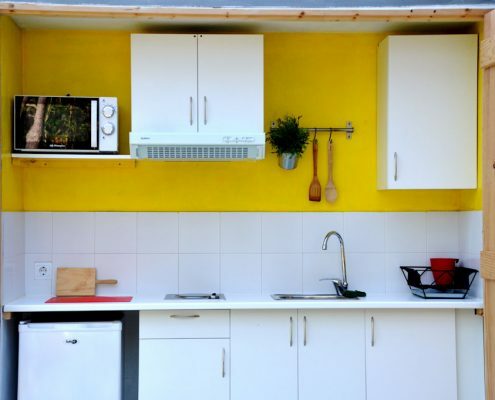 The kitchen is equipped with glass-ceramic hob, microwave, a small refrigerator, sink and basic utensils. 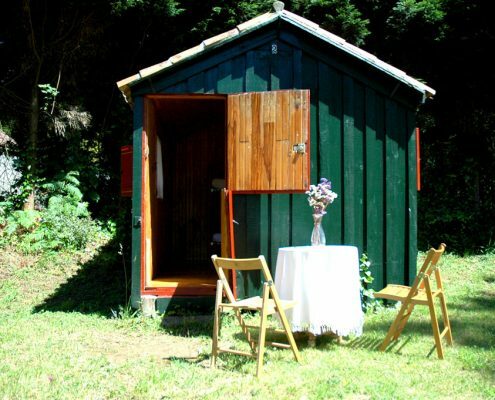 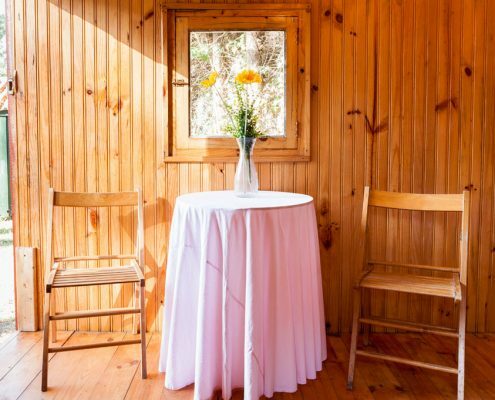 Our five small but cozy wooden huts are located in “the corner of the little pine trees”, a special place because of the trees, flowers and vines that surround them. 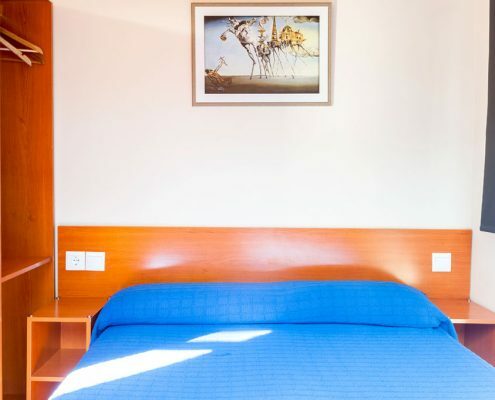 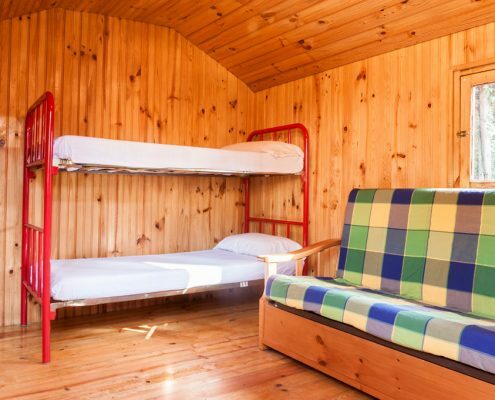 Next to the café and restaurant facilities, the huts have a sofa-bed (queen size) and a bunk bed with two single beds, all equipped with fitted sheet, pillow and basic furniture. 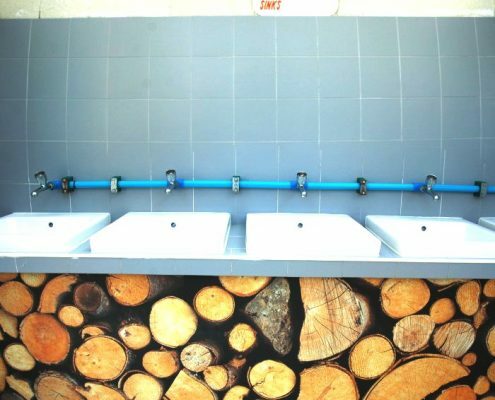 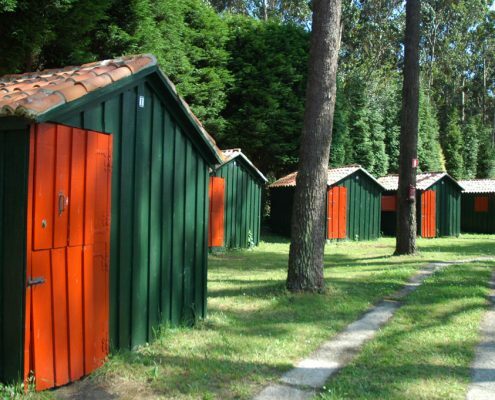 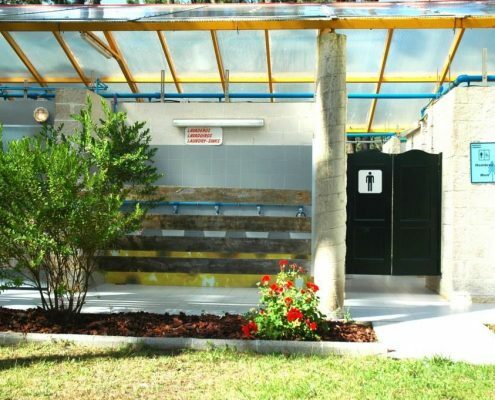 The cabins have access to the main toilet block. 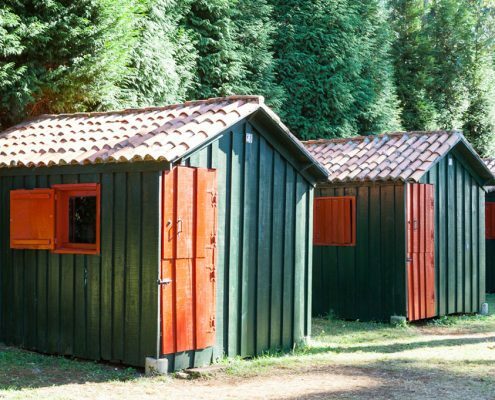 This is an ideal alternative for couples with children, as it is inexpensive and the children enjoy their rustic and adventurous environment. 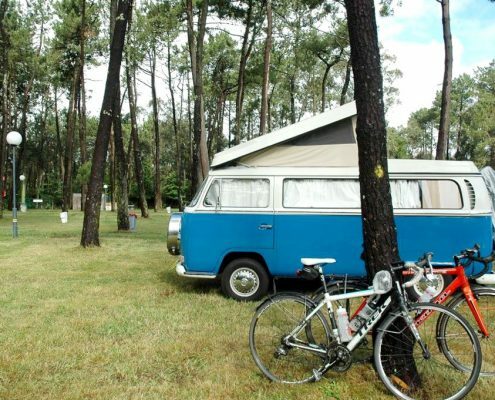 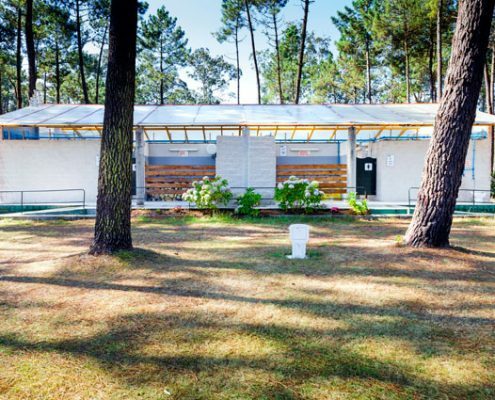 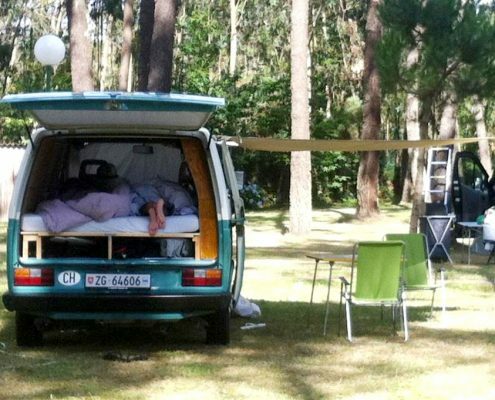 The campsite has 146 plots with an area of ​ 60m2 each, most with rectangular shape of 10 x 6m. 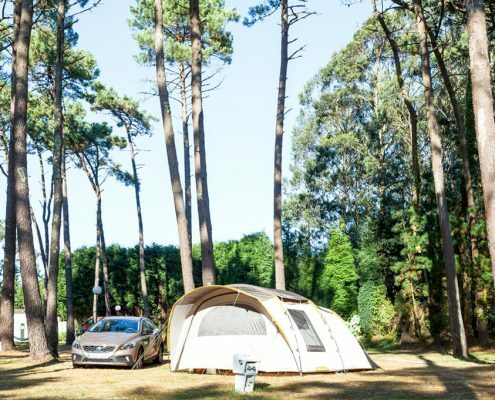 Since the pitches are not physically divided, the access to the pitches is very good even with large motorhomes and big tents. 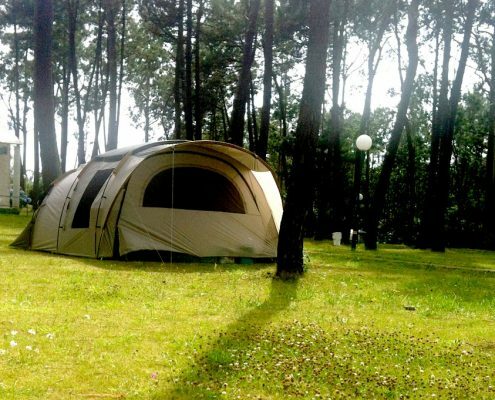 All pitches have sun and shade at different times of day, thanks to the pine trees scattered throughout the campground. 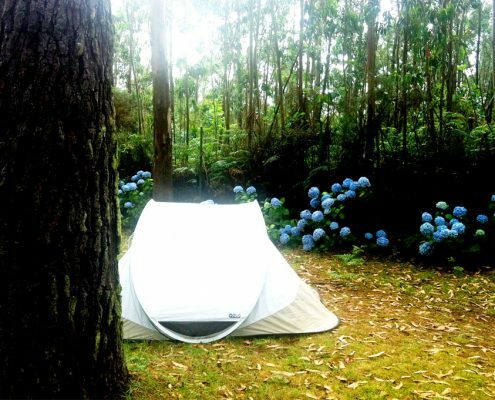 The ground is soft because there is green grass throughout the campsite. 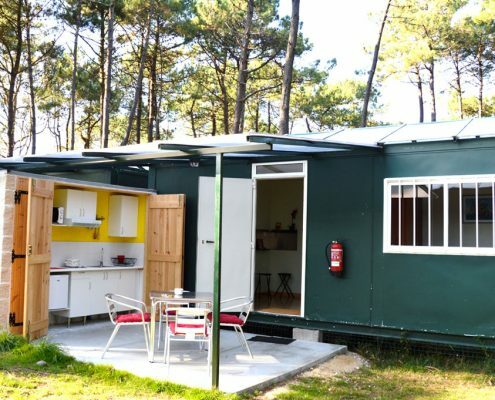 All pitches can be accessed by car and there are 52 pitches with electricity. 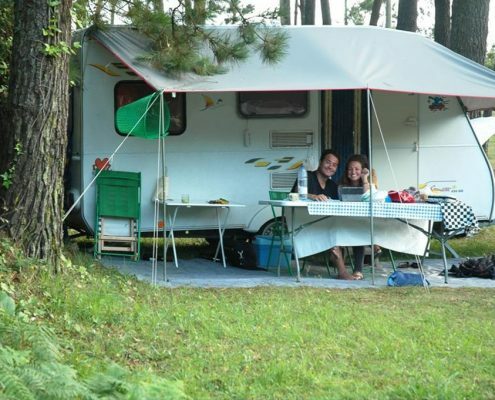 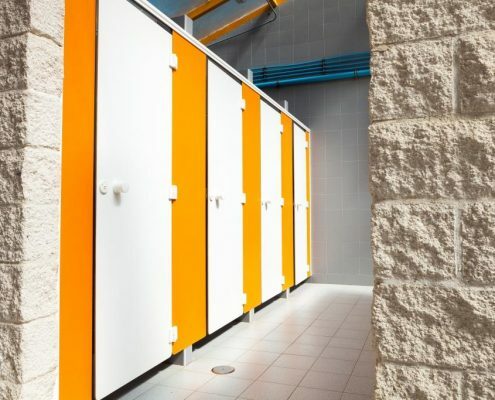 For those traveling with a camper, we have areas with good connectivity, as well as a chemical sewer and water supply.